What’s that “gut feeling” have to do with anything? Most of us see our digestive system as a mini processing system – food goes in, we process, and we eliminate. Sometimes the whole thing goes smoothly; but sometimes, it just doesn’t. We experience digestive upset, bloating, and gas. We’re also cranky, moody, and many experience a “brain fog” that just won’t lift. In some ways, digestion is a processing system. The food we eat is broken down into the basic components of nutrition (protein, carbs, and fats) and used for nourishment to keep us alive. It all begins with aromas; just the smell of food activates the saliva in your mouth, which is where the first process of digestion begins. After being chewed and moved down the esophagus, food enters your stomach which further breaks down the food with the help of enzymes and stomach acids. From there, it enters the small intestines, and with the help of our pancreas and gall bladder, the food is broken down into even tinier molecules that pass through the walls of the small intestine and into our bloodstreams. The large intestine then finishes the job by extracting water, compacting the waste, and then finally eliminating it all from our bodies. Like a little factory, right? Not exactly. In fact, our digestive system is actually way more – it’s almost like another brain in and of itself in our body, and is connected to our immune function and our mood, and is even linked to anxiety and depression. We now know that it is so important to take care of our gut health. 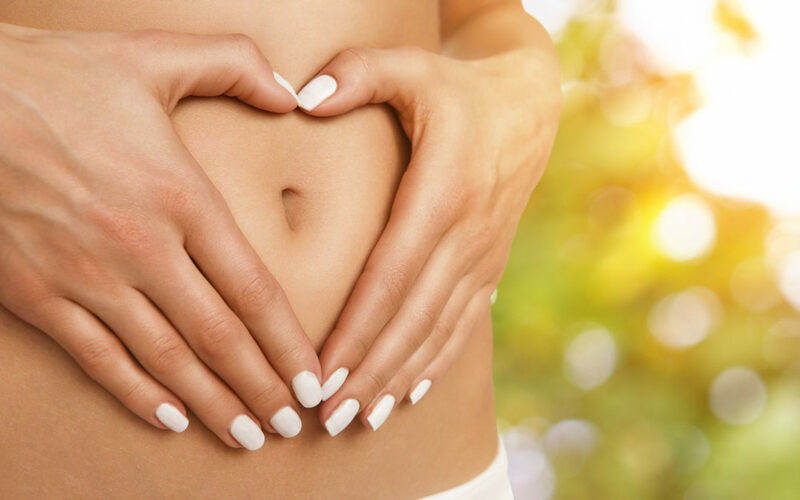 Science has begun to understand that our digestive system is actually our “second brain” and that the health and functionality of our digestive system does way more than just simply process our food. This “second brain” is called the Enteric Nervous System and research has discovered that the health this really is linked to our immune function and mood. (Gershon 1998). The bacteria in the gut are part of our immune system and 95% of serotonin (the feel-good neurotransmitter) is actually made in our guts, not our heads. Our “second brain” is in charge of a lot! “Gut feelings” are actually your gut communicating with your brain. Butterflies in the tummy? Again, the gut nervous system is operating on its own and telling the brain in your head important information. Don’t hesitate to trust it! This “second brain” can actually function without the brain in our head, and with the growing prominence of gastrointestinal problems these days, it is important to know how best to take care of this precious system. The bacteria in our gut need to be nourished and replenished by the foods we eat. We help our gut bacteria by eating foods known as PRE-biotic foods and PRO-biotic foods. We can also help our digestive systems by eating foods rich in enzymes that help our guts break down and digest the foods. Here are some great foods to help nourish this important. PRE-biotic foods are types of fiber found in vegetables, fruits and beans. Pre-biotic foods actually feed and nourish the good bacteria in your gut that support healthy digestion and immune function. PRO-Biotic foods contain natural good bacteria that feed off the pre-biotic foods (fiber-rich foods) and create and support a healthy immune system and anti-inflammatory response in the body. Fermented foods are rich in both PRO-biotics and enzymes- double powerhouse! The bottom line: Keeping your gut healthy is important for your health, immunity, and mood. Take care of it and it will take care of you. Gershon, M. D. (1998). The second brain: The scientific basis of gut instinct and a groundbreaking new understanding of nervous disorders of the stomach and intestine. New York, NY: HarperCollinsPublishers. Lewis, S., RD. (2017, June 3). Probiotics and Prebiotics: What’s the Difference? Healthline.